Question: G = (V,E) is a directed graph with no cycles (DAG) and w: E->R for each edge. There is an efficient algorithm that in given vertices s and t in the graph it finds the minimum weight path contains with at least 3 edges. So far it great - i understand the question just fine. step 2: Apply DAG algorithm from s1. step 3: return the weight of the path from s1 to t4. 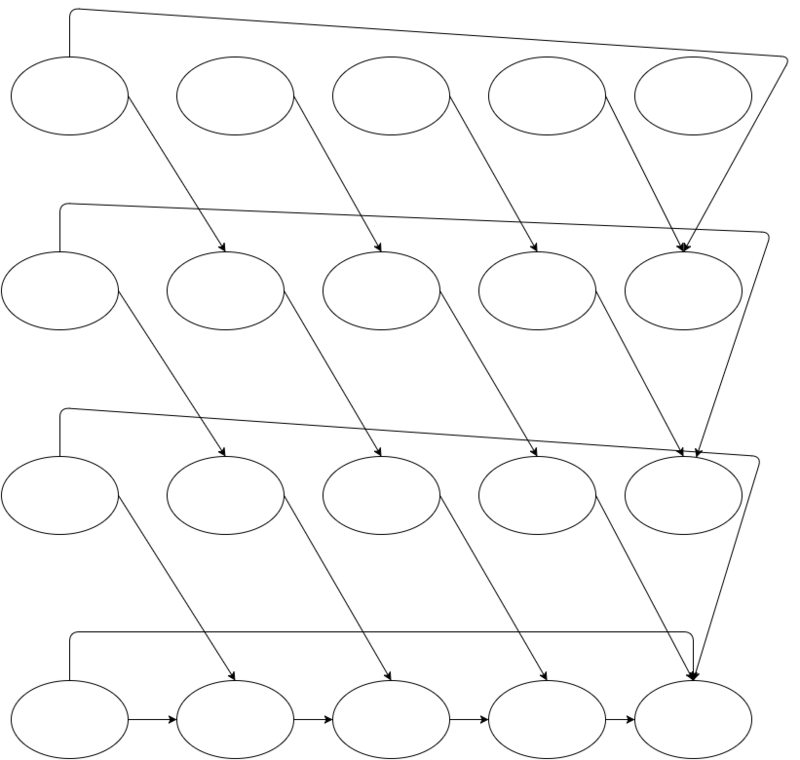 I know how DAG works, but i don't know how to build the new graph in order to see it, how do i build the new graph? i don't need to know what to do in every situation, i just don't know how to deal with it and build a new graph according the demands. The steps are derived from the question itself, but i didn't get the first step in the creation of the new graph. Why there is a need to create a new graph at all? In L1, the highest Layer, every connection from the original graph instead goes down to L2. Finally L4 looks like your original graph. Since you can only move down 1 layer at a time, you need at least three edges to reach v.
shortest one. Then the correct answer is still to move through every other node, because taking the shortcut uses too few edges. Here we want to reach the bottom right from the top left. As you can see, finding a solution in this graph, automatically gives us a solution with at least three edges.